Catch the biggest fish in any competition. Catch 50 fishes during one competition. Catch a 2 kg whitefish. Earn 5000 coins from selling fishes. Win all the competitions in one tournament. Reach top three in 3 h competition. Catch a fish weighing more than 10 kg. 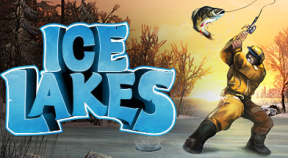 Catch a fish during the last minute and reach the starting zone in time. Catch a fish from every hole you drill during a competition.